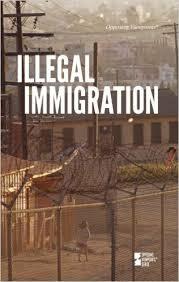 Research papers on illegal immigration discuss the movement of people across an international border in violation of the laws of the destination country. Illegal immigration has been a dominant story in the news throughout the 21st Century, both in Europe as a result of the continuing Syrian civil war, and in the American presidential campaign. Have Paper Masters custom write your research on Illegal Immigration, with the most recent statistics and facts regarding immigration. By definition, illegal immigration is the movement of people across an international border in violation of the laws of the destination country. The most striking example of illegal immigration is crossing the southern border of the United States from Mexico. However, a significant number of illegal immigration occurs when individuals who have entered a country legally simply overstay past the expiration of their visa. It is estimated that nearly half of the illegal immigrants in the United States are those who arrived legally, using temporary, non-immigrant visas. In the current political climate of the United States, the issue of illegal immigration, especially from Mexico, is often used to raise nativist fears against criminals sneaking across the border. While most illegal immigrants do move from a poorer to a richer nation, those that do attempt to immigrant do not come from the lowest SES in the original country, but are attempting to improve their economic situation. The current flood of illegal immigrants to Europe has also garnered attention. Many of these immigrants are refuges from the civil war in Syria, but many are economic refugees from Africa, attempting to overwhelm the flood of illegal immigration and gain entry into Europe. Across the political spectrum, there are no easy answers to the problems of illegal immigration. There can be no argument that illegal immigrants do not contribute positively to the economy of the United States. According to a 1997 report by the National Research Council, illegal immigrants add about $10 billion dollars to the economy each year. Immigration is also responsible for wage increases, according to a separate study, and helped raise the minimum wage by 2.5 percent in the 1990s. This nation’s situation regarding immigration is somewhat unique given that this nation was founded by immigrants. Other than Native American Indians, not a single man, woman or child from the United States can claim that he or she is not either a descendant of an immigrant or an immigrant themselves. Yet, according to a study done by Time Magazine, the majority of Americans believe that the United States needs much tougher immigration laws and that the current laws need to be enforced much more often and much more forcefully. Is this a conflict of interest, or has the United States reached its population cap? It is clear that illegal immigration has both positive and negative side effects for the United States. The conclusion, though, that must be made is that unless a sincere and legal attempt is made by an immigrant to apply for permanent residency and to travel down the path towards citizenship, that immigrant should be sent home. Illegal immigration should not be tolerated, but legal immigrants should be accepted with open arms. The immigration issue has been filled with emotional rhetoric on both sides. No longer a partisan issue, the issue has split the Republican Party and has sent a nation of immigrants and their supporters into protest. On May 1st, 2006, millions of immigrants boycotted jobs, schools and businesses to demonstrate the economic power that immigrants have. While this and other protests may have the intended affect of adding additional sympathy for the immigrant cause, it may also have negative consequences as well. A relaxed stance on illegal immigration hurts low-skilled U.S. workers and immigrants who have taken the time to legally come to the United States and now face competition from illegal aliens. While the National Research Council’s study found that illegal immigrants do add to the economy, these people have harsh impacts on select communities of people in the United States. A Harvard study found that between 1980 and 2000, immigrants lowered the wages of high school dropouts by nearly eight percent. In large, blanketing economic studies, there may be a net gain from immigration. However, since illegal immigrants can be paid well below what a U.S. citizen can be paid, either the wages of the citizens will be lowered or the jobs will be lost altogether. Islam in Syria - Islam in Syria is explored in custom research papers. Current Syrian Islamic beliefs can be explored. Mexican Immigration Laws - Mexican Immigration Laws research papers delve into the continuing hot-button political issue in the United States on illegal immigration from Mexico. Negative Effects of Illegal Immigration - Negative Effects of Illegal Immigration Research Papers discuss an example of an order placed for an argumentative paper on immigration. Immigration and Social Work - Immigration and Social Work Research Papers examine topics dealing with immigrants, social services and social workers. European Immigration - European Immigration research papers discuss the crisis of over immigration in Europe. Immigration Reform - Research papers on immigration reform discuss the controversial political subject that attempts to keep out those who seek to come to the United States illegally. Donald Trump Presidential Candidate - Donald Trump Presidential Candidate research papers examine the billionaire Donald Trump, well-known for serving as the host of the NBC reality show The Apprentice, and his for the Republican nomination for the 2016 election. Miscegenation Laws - Miscegenation Laws Research Papers explore the history of this law as they related to Asian migration and colonialism in the United States. Chicano Movement - Chicano Movement was born in the 1960s, when African-Americans were pursuing their civil rights with vigor. Immigrant Rights research papers discuss how immigrants to any country are not without legal rights. Immigration research papers discuss the problem of immigration in the United States. United States Immigration - United States Immigration research papers examine immigration from the discovery of the New World to todays current immigration. Push/Pull Immigration Research Papers delve into an example of an order placed for a history assignment with specifics in sources, and foot notes. German-American Immigrants research papers can be ordered from Paper Masters and are custom written every time. Immigration and Social Work Research Papers examine topics dealing with immigrants, social services and social workers. Irish Immigration Research Papers show that the main sweep of Irish immigration consisted of 1.5 million Irish who fled famine conditions and arrived between 1845 and 1854. Polish Immigration essays discuss the geographical themes of the impact Polish people on their new environment. Negative Effects of Illegal Immigration Research Papers discuss an example of an order placed for an argumentative paper on immigration. Mexican Immigration - Custom written research papers on Mexican Immigration issues are very popular topics in political science courses today. Human Smuggling research papers discuss the issue of importation of individuals into a country via the deliberate evasion of that country’s immigration laws. Border Protection research papers examine the agency responsible for securing United States Borders. European Immigration research papers discuss the crisis of over immigration in Europe. Paper Masters writes custom research papers on illegal immigration discuss the movement of people across an international border in violation of the laws of the destination country.